At SpartanNash, we love Earth Week because it brings together both components of our corporate responsibility commitment – supporting our local communities through our nine-year partnership with Goodwill while keeping those clothes, electronics and household goods out of landfills and reducing our environmental footprint. Through our Earth Week programs, we work to engage and educate our customers, communities and company associates, all while celebrating and promoting environmental stewardship. In 2019, SpartanNash’s Earth Week initiatives will take place April 15-22. In partnership with nine Goodwill organizations in Iowa, Michigan, Minnesota, Nebraska, South Dakota and Wisconsin, customers who bring in donations to any participating Goodwill store on Friday, April 19 and Saturday, April 20 will receive a book of savings, redeemable at Family Fare, D&W Fresh Market, VG’s Grocery, Family Fresh Market or any of our more than 155 company-owned stores. The book of savings includes coupons for “better for you” items including organic spinach and ecofriendly products – as well as a coupon for $10 off a $25 or more purchase at our stores. So gather up your unused items and bring them to any of these participating Goodwill locations on April 19 and 20 to celebrate Earth Week with SpartanNash! 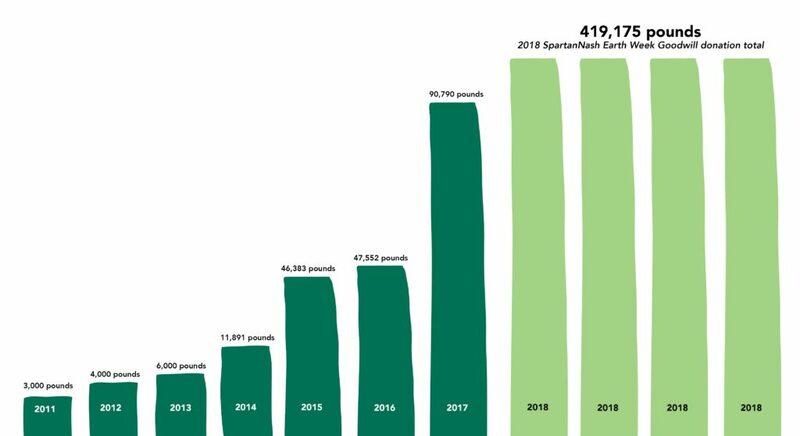 Since 2011, SpartanNash’s Earth Week Goodwill donation drives have collected more than 630,740 pounds of donations, equal to 135,098 hours of workforce development training in the communities we serve. 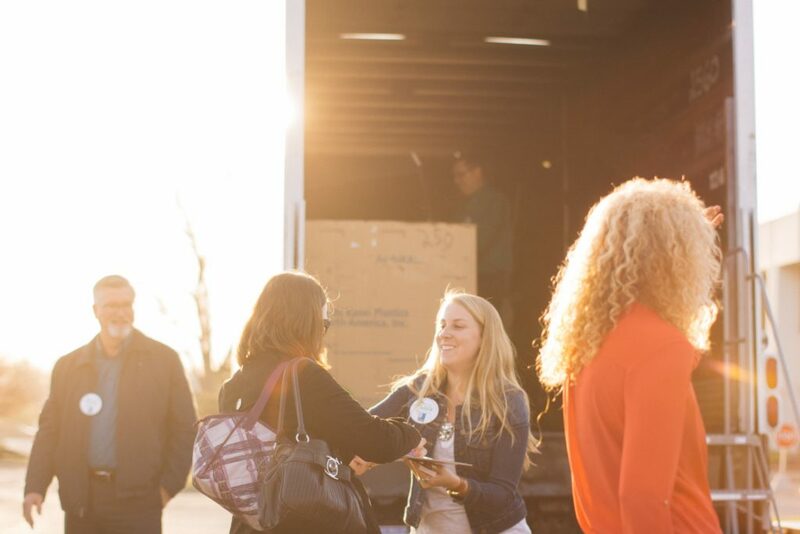 In addition to our retail partnership with Goodwill, our distribution centers and service centers also partnered with 19 Goodwill organizations to host onsite donation drives as a part of our associate Earth Week programs. To learn more about all of our corporate responsibility programs and accomplishments, check out our Corporate Responsibility report. 1621 Coulee Road in Hudson, Wisc. 1475 Hamilton Ave. in New Richmond, Wisc.